SickKids Foundation has been leading the fight for children’s health since 1875. In the fiscal year ending March 31, 2016, SickKids Foundation had annual revenue and investment income of $823.8 million. SickKids Foundation works in an incredibly demanding sector. The organization closely manages funds to ensure all decisions are evidence-based and align with the hospital’s strategic priorities. Every department is under pressure to prove productivity and value. Working at capacity and feeling overwhelmed, the Information Technology (IT) and Business Intelligence (BI) departments felt spread too thin and challenged to measure value – that was before they turned to BERTEIG. Within 6 months of implementation, BERTEIG’s proprietary REALagility program empowered the IT and BI departments to produce real, tangible business results benefiting the entire organization. THE PROBLEM: SickKids Foundation’s IT and BI departments operated with an “order-taking” mentality, with a “first-come, first-served” queue resulting in an ever-mounting to-do list, disconnected from key strategic priorities. Furthermore, there was little visibility and awareness of the teams’ activities, resulting in employees feeling undervalued and stressed and upper management feeling isolated from both impediments and accomplishments. THE SOLUTION: BERTEIG facilitated a series of 12 workshops for VPs, senior staff, directors, associate directors, key fundraisers, and other stakeholders. 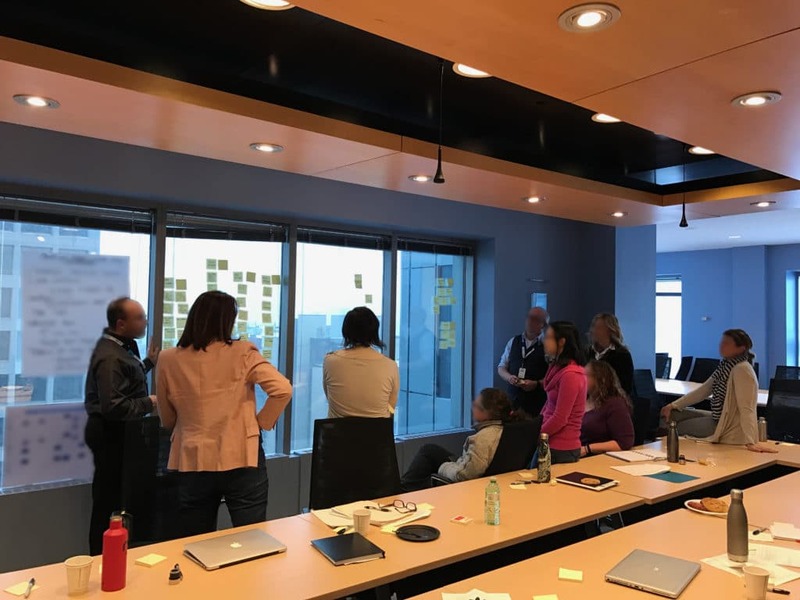 Through this strategic planning exercise, SickKids Foundation cocreated a 2-year roadmap between BI and IT that would later be divided into features and functions managed through the rollout of an Agile work system. This process unified teams, prioritized strategy and changed the way IT communicated internally and reported externally. THE PROBLEM: The IT and BI teams were constantly inundated with requests from all areas of the business. At any one time, there could be more than 500 requests in the queue with no process to prioritize. Adding to the team’s frustration was an inability to provide senior management with sufficient progress updates on strategic items that they rarely had the time to address while jumping from task to task. 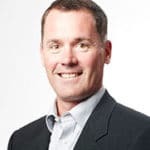 THE SOLUTION: BERTEIG activated a visual and tangible work system, successfully demonstrating the value of the IT and BI departments to upper management. The system classified work into three categories: daily work, maintenance work and strategic project work. Today, the team has a real sense of work being accomplished for the business and can report back to senior management, in regards to all 3 areas, on a monthly basis. With the support of BERTEIG, SickKids Foundation now operates with a process that allows teams to complete projects from start to finish and demonstrates their accomplishment to leadership before they move to another roadmapped task. THE PROBLEM: Expectations set by senior management often surpassed the capacity of the IT and BI departments. With so much on the go, many projects were left open and incomplete leaving the team feeling unaccomplished after a full day’s work. 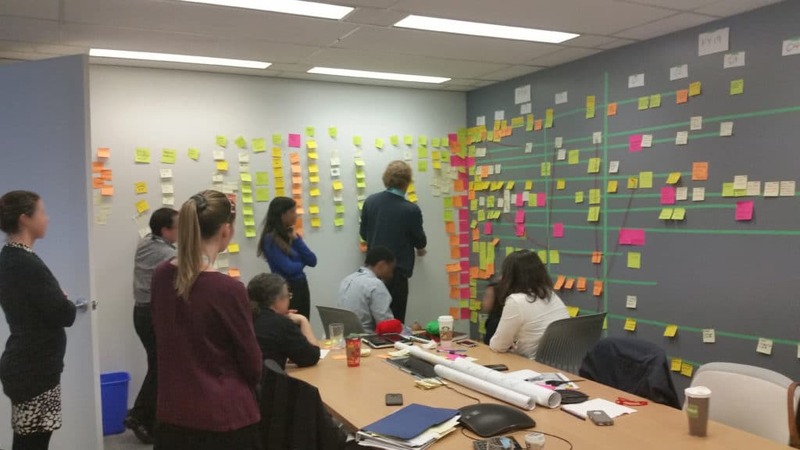 THE SOLUTION: Using a wall in the IT area as a form of visual management, BERTEIG and the SickKids Foundation created a ticket system to display the work in progress. This tangible reference in a world of digital intangibles helped the team stay focused, on track and eager to see work progress. Today, because of this strategy, capacity issues are visible and can be addressed before starting a project, actively preventing unmet expectations.